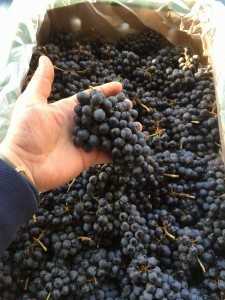 How did you get started winemaking? What first attracted you to winemaking? I grew up in the Cape Winelands and studied Viticulture and Oenology at Stellenbosch University. I love the process of winemaking, the chemistry of it. Wine is a living thing and it is wonderful to be able to make something with the potential to be enjoyed for years to come as it grows and matures in the bottle. What do you look for when you make wine? What is your general winemaking philosophy? It is all about the grapes, get the best grapes possible and make sure you have the basics right, but don’t try to over engineer the process. You are working with nature so you cannot predict what’s to come in a season and every season has its own challenges. I think the most difficult are seasons where the vines are stressed, be it from high temperatures or wet weather that can increase risk of fungal infections in the vineyard. Are you filtering your wines? There is a movement toward unfiltered wines, especially as consumers become more educated and willing to accept a little sediment in the bottle. I do prefer to filter my wine, but use the most coarse (largest micron size) filter available. Basically just to give the wine a rough polish as it goes into the bottle. Are there any new winemaking techniques or tools you’d like to experiment with? They aren’t necessarily new tools, but you can achieve a lot with good use of enzymes and tannins at vinification. I like to cold soak my grapes before fermentation; you get the benefit of good color and flavor development without the harsh tannic extraction that happens after fermentation (when alcohol is present). What’s your favorite wine region? Many different regions excel at specific varietals, which is part of what makes wine exciting, you can have a Syrah from South Africa; Australia and France and all three can be fantastic but also completely different in style. 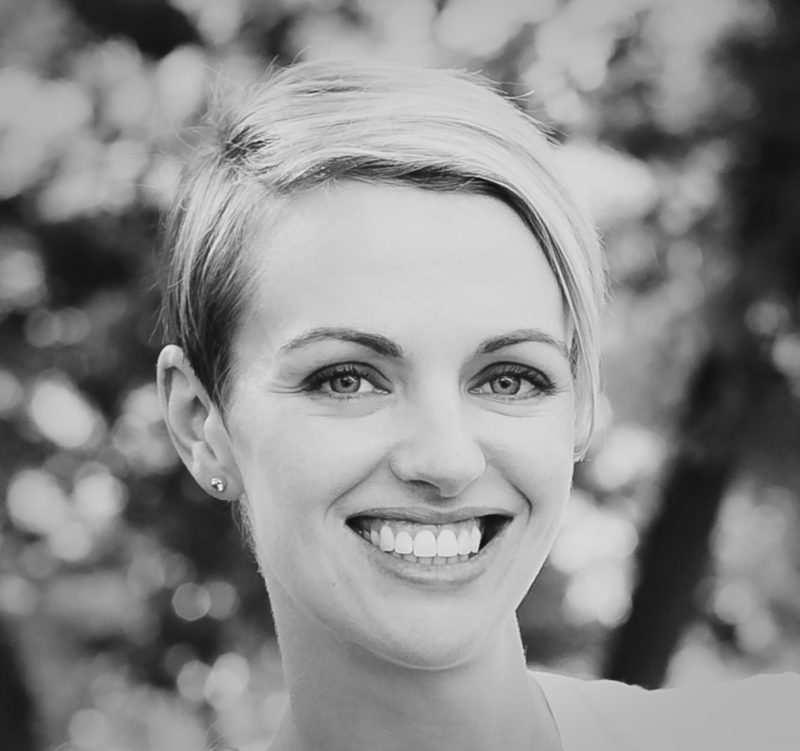 We want to give a BIG Thank you to Grettchen for answering our winemaker questions and we look forward to meeting her in person on April 2nd. We would like to invite all of our winemakers to meet her Monday April 2nd from 1:00-6:00PM at our Hartford, CT Location. 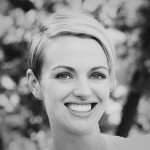 Grettchen will be speaking about her vineyards and favorite winemaking practices. RSVP to Christina at cmusto@juicegrape.com. This event is FREE to join and we would love you bring in some wines that you have made for Grettchen to try. Looking forward to seeing you all on April 2nd! What’s the Winemaker’s Think Tank? We all know that feeling. You made it through the holidays, your wines are resting peacefully in your cellar, but there’s something missing. You’re getting that “itch.” You go down to your cellar and see that a few of your barrels are empty, and that French oak barrel shouldn’t be empty too long . . . so you start Googling and then you find that there is a spring wine season! Your prayers are answered! 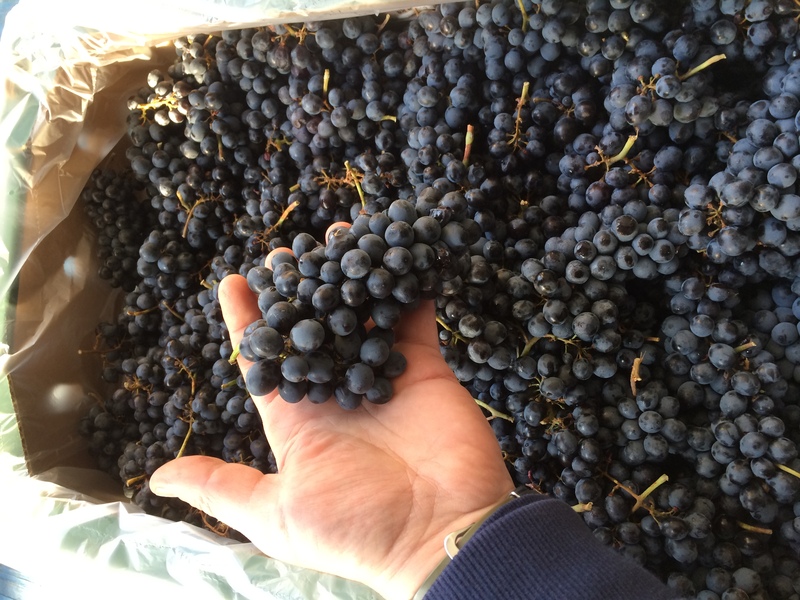 You can scratch that winemaking itch and get moving on your next vintage. Believe me, your French oak barrel will thank you. 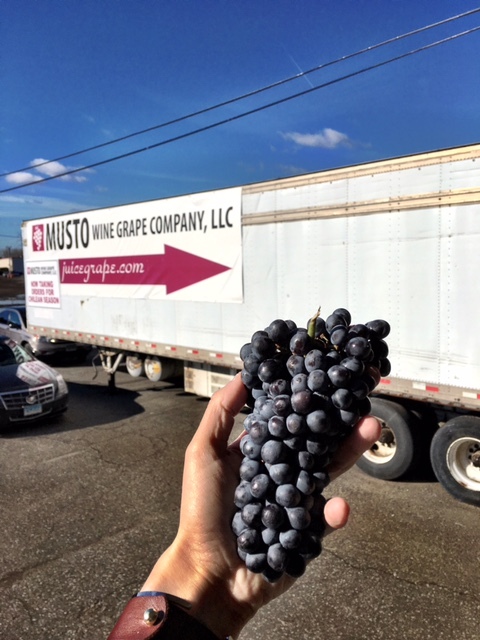 Not all winemakers know this but Musto Wine Grape brings in wine grapes and juices from South America and South Africa in the springtime. Specifically Pinotage and Cabernet Sauvignon from South Africa, Malbec from Argentina, and Cabernet Franc, Cabernet Sauvignon, Carmenere, Merlot, Malbec, Petite Verdot, Pinot Grigio, Pinot Noir, Sauvignon Blanc, Syrah, and Viognier from Chile. Making wine from these grapes and juices is very different than the California grapes and juices. 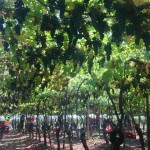 The grapes have a much longer ride and the regions where the grapes are grown give off very different characteristics. Argentinean and Chilean grapes tend to have a lot of fruit-forward notes, dark berry flavors, with cigar and earthy undertones; as opposed to the South African grapes that have a brighter fruit profile such as cranberry and raspberry. 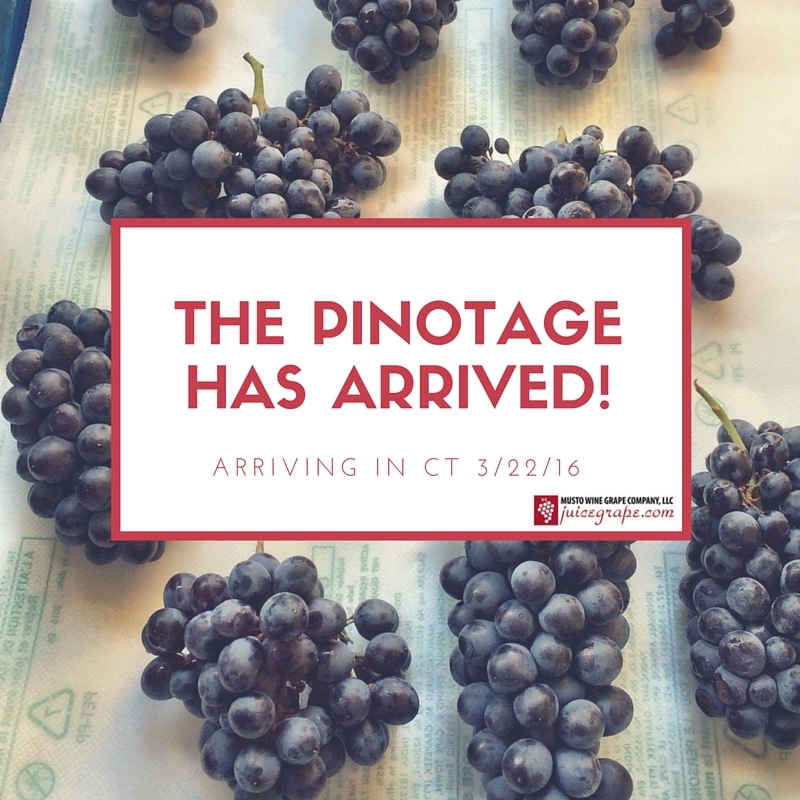 In the spring of 2016 we decided to make a Pinotage. Neither of us had ever made one before and we were excited to try out a new wine grape variety and region. 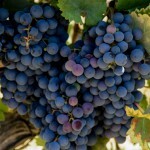 Pinotage is a red wine grape that is South Africa’s signature variety. 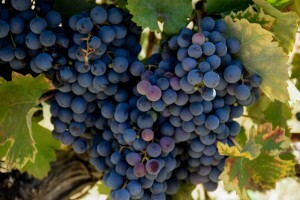 It was bred there in 1925 as a cross between Pinot Noir and Cinsault (also known as Hermitage) – thus the name Pinotage. It is the second most planted grape in South Africa. As a winemaker it was very exciting to get a chance to make wine from South Africa. It was also exciting to make a wine we have never made before. The grapes came in 20 lb. (9 kg) cases and were simply immaculate. 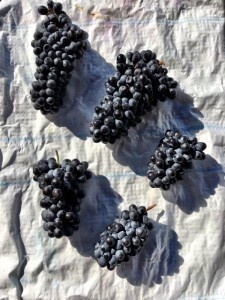 The berries were in very good condition with no mold or decay. The one thing we did notice about the grapes is the skins were different in texture. They chewed for a long time and can almost be described as leathery. We have never seen that on a California or South American grape before. 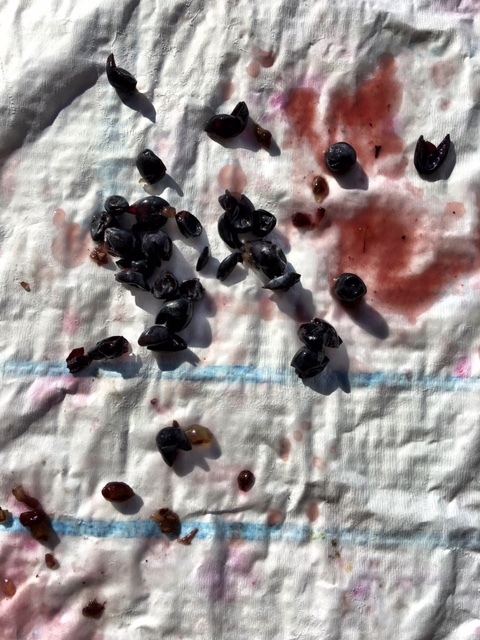 The initial numbers on the grapes were workable. The Brix came in at 25, which would result in an alcohol of 13.75%. There was no adjustment needed on the sugar level. The pH and titratable acidity (TA) came in at 3.91 and 6.2gm/L respectfully. Tartaric acid was added to get the pH to a desired level. One thing we have learned is every grape is different – they cannot be handled by mathematical formulas only. Always bench test your adjustments; the results are not always linear. Our goal is to get the pH AND the TA to the ideal levels. This is not always possible, but an experienced winemaker will have to make the best decisions. After adding tartaric acid, we ended up with a pH of 3.5, which is an ideal number. The TA only rose to 7.5 gm/L. As we stated above these grapes did not show the linear relationship between the pH and TA – meaning it is not always true what the pH goes down, the TA goes up. So these were good starting numbers to release the grapes for fermentation. Something Frank and I swear by is always making your adjustments before fermentation. Once fermentation starts it is a moving target. And once the wine has completed fermentation, you really should not be making major pH/TA adjustments. We went with D254 yeast, simply because it always does a good job and we have never made these grapes before. Next year we think we might try the BDX yeast. 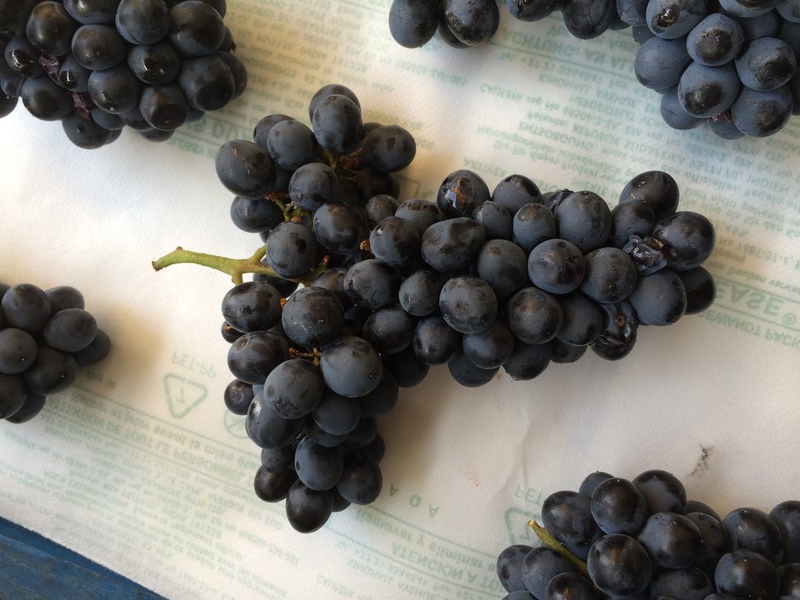 We processed these grapes with the same protocol as a California vinifera. We cold soaked the grapes 3–4 days. Cold soaking not only gives you time to work on the wine before fermentation, but allows the wine to “bleed out” and stabilize. The skins break down and you get the tannins and color to stay with the must. 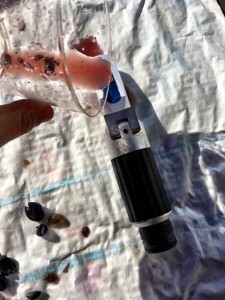 While the grapes were in a cold soak we made the Brix, pH, and TA adjustments. We also added normal additives such as tannins, Opti-red, oak powder, etc. The fermentation went well. A normal 3–4 punch downs a day is a good protocol. We checked the temperature every morning and evening. It ran from 70–80 °F (21–27 °C) the entire fermentation, a good temperature for reds. The pressing went well. The skins were still like little pieces of leather – we will never forget that about Pinotage. The fresh pressed juice had a cotton candy nose to it, which we found unusual but pleasing. It has faded off to a bright red berry nose as time has gone on. Once the wine was racked 2–3 times, it was moved to a Hungarian barrel for 8 months. It is now back in the tank for final adjustments before bottling. The final numbers are all good. The pH is 3.52, the TA is 0.62 and the alcohol level is 14%. The nose has red berries such as raspberry and cranberry. It is a clean nose with a “fruity” character. The palate had red licorice and tobacco, and reminds me of a Pinot Noir. The tannin level is medium, which we find perfect for this wine. Big tannins would have overtaken this particular lot of Pinotage. It is an easy drinking wine. It has a sweet fruity presence, yet there is no residual sugar. This will make a good red for the summer for those red drinkers who refuse to go to whites at that time. So there it is. We made our first South African wine from grapes. It was exciting and a learning experience for both of us. Each season we will try to process them differently to create other sides of this wonderful wine — Pinotage! 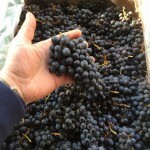 You have many winemaking options during the spring winemaking season. Don’t let a unique winemaking opportunity pass you by! If you have any questions about the spring wine season feel free to email me at cmusto@juicegrape.com. Article by Christina Musto & Frank Renaldi for Winemaker Magazine. You can see the entire article by clicking HERE. We hope this information helps with your winemaking. If you have any follow up questions or winemaking questions in general, please email us at support@juicegrape.com. 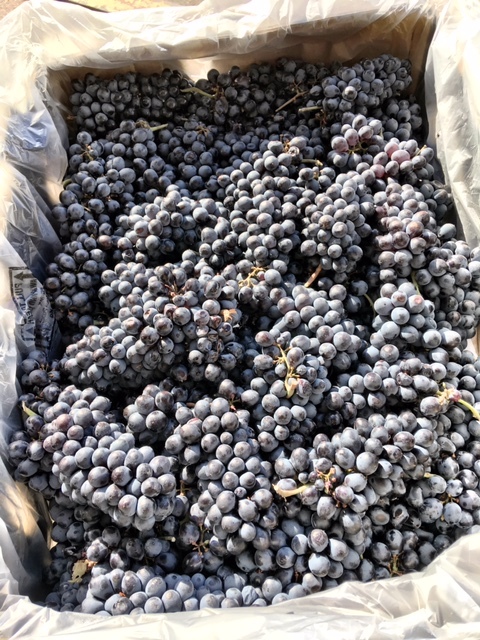 News from the field as of 3/3/2017…..
South African Pinotage: Harvested and in transit. The Pinotage should hit the port around March 28th. 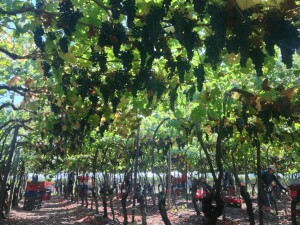 South African Cabernet: Harvest is about 10 days out. It will most likely arrive sometime in mid-April. Argentina Malbec: Also about 10 days out as of right now. We think the grapes should arrive sometime in mid to late April. Chilean grapes: White grapes will start to harvest next week. The white grapes should arrive around last week in April and reds grapes should arrive around the first or second week in May. Southern Hemisphere Juices: Arriving mid to late April. The prices for the Spring products are here and we are taking Pre-Orders via email and over the phone. Please feel free to contact us at sales@juicegrape.com or 877.812.1137 to place your pre-order. We are looking forward to working with you this Spring Harvest! Keep an eye on our Facebook Page and Harvest Tracker for more harvest information and upcoming wine classes. Cabernet Sauvignon from South Africa too!! Also, we have additional higher-end regions where we will be sourcing our South African grapes. In addition to the Breede River Valley we will also offer grapes from Stellenbosch, Olifantsriver, and the Cederberg Mountains. Grower Information: A meticulous vineyard manager, this Cabernet has intense fruit flavors. The grapes create full, rich, complex wines that age well. Location: One of the Northernmost wine regions in South Africa’s Western Cape. It spans 90 miles between Lutzville in the North and Citrusdal Valley in the South. Location: 186 miles North of Capetown. The Cederberg mountains contain a nature reserve. The mountain range is named after the endangered Clanwilliam cedar, which is a tree endemic to the area. Grower Information: These Pinotage grapes are from older vines and are cultivated at the highest altitude in South Africa. You can expect intense flavors with high levels of complexity. 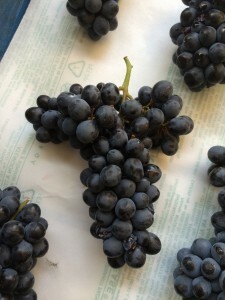 These grapes produce excellent Pinotage and can be compared to Napa and Sonoma in terms of quality. Geeky Facts: The mountains are noted for dramatic rock formations and San rock. The Pinotage grapes should be arriving towards the end of March and the Cabernet Sauvignon grapes should arrive at the end of April. We are expecting more information about crop estimates, clones, yeast pairings, photos, and more. So stay tuned for more updates! Cheers! The ‪Pinotage‬ has arrived!! The berries taste very sweet with good seed and pulp development. We got Brix readings of 23-24.5. We will be calling all of the people who pre-ordered today. However we do still have a small amount available for sale. 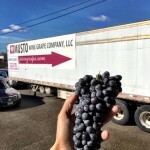 Gives us a call at 877.812.1137 to pick up you Pinotage grapes! Also, we are still deciding which yeast to use for the Pinotage grapes. The three options we thought about are D254, D80, and BDX. Below are the descriptions of each yeast. Which yeast do you think we should use? The Breede River Valley is surrounded by the Atlantic and Indian Oceans, and is nestled between the Simonsberg and Drakenstien mountains. Because of this unique topography, cool air from the oceans flows through the valley creating small, cooler micro-climates. Farmers are able to use the Breede River to irrigate their vines, thus creating ideal grape growing conditions in an otherwise un-farmable part of South Africa. 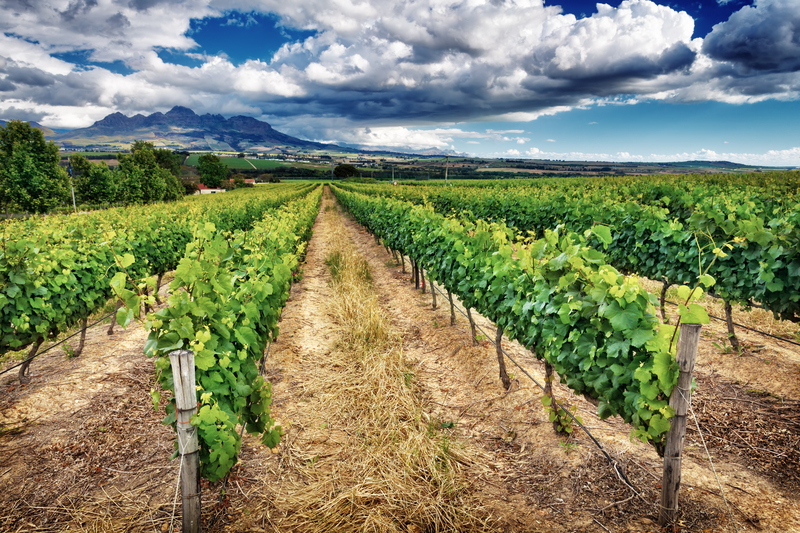 The valley is an hour’s drive from Cape Town and more temperate than the Stellenbosch Valley – resulting in grapes that express good fruit characteristics without overripe jamminess. Yet even with the cooler micro-climate and irrigation, South Africa had a very dry growing season. Unseasonable heat waves in December and February caused earlier-than-normal harvest schedules. These heat waves also caused some varieties to become unavailable to us this year. Unfortunately due to this season’s climate and berries not reaching full maturity, the Cabernet and Merlot from South Africa did not meet our quality standards and thus will not be available this season. However, the Pinotage and Sauvignon Blanc matured perfectly and are on their way to Connecticut. We expect the grapes to arrive around March 18th. 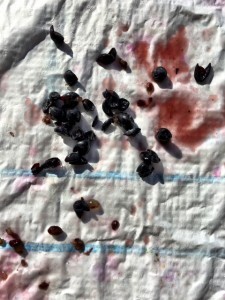 While the hot and dry growing conditions this season will result in lighter yields, the berries will be more intense thus leading to more complex and intense finished wines. We are looking forward to bringing you our high quality Pinotage and Sauvignon Blanc from South Africa in mid-March! 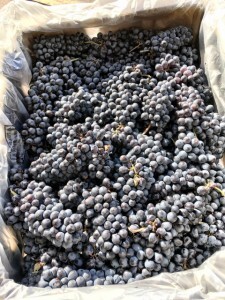 The grapes come in 20lb cases and yield about 1.25 gallons per case. We strongly advise you to pre-order these grapes as last year we sold out of the Pinotage. Note about Pinotage: The Pinotage Grape was created in 1925 and is a cross between two vinifera grapes, Pinot Noir and Cinsault. 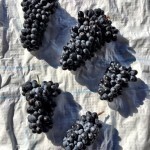 Abaraham Izak Perold created the grape to bring out the brilliant robust flavors that both Pinot Noir and Cinsault possessed, while making the grape easy to grow. Now Pinotage is known to produce smoky, earthy flavors with hints of tropical fruits. Pinotage sourced from the Breede River Valley produce wines that express notes of cedar, plums, and dark berry notes. The wine then rounds out with a smooth, tannic structure. Enjoy these wines with a hearty stew or red meat. Please note that if you punch through too vigorously during fermentation you can get an almost burned plastic characteristic. 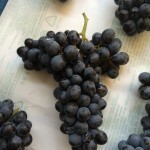 It is better to ferment Pinotage at lower temperatures. Note about Sauvignon Blanc from South Africa: Sauvignon Blanc produced from the Breede River Valley are often very complex and with notes of minerals such as flint, and bright fruit flavors such as apricot.